Thai coach Pairoj Borwonwatanadilok has resigned from his position as the head coach of Muangthong United, following his side’s 2-0 loss to Ratchaburi at the Mitr Phol Stadium. Sunday’s defeat, which was Pairoj’s third in just five games this season. Initial reports appear to suggest that the coach left on his own accord. 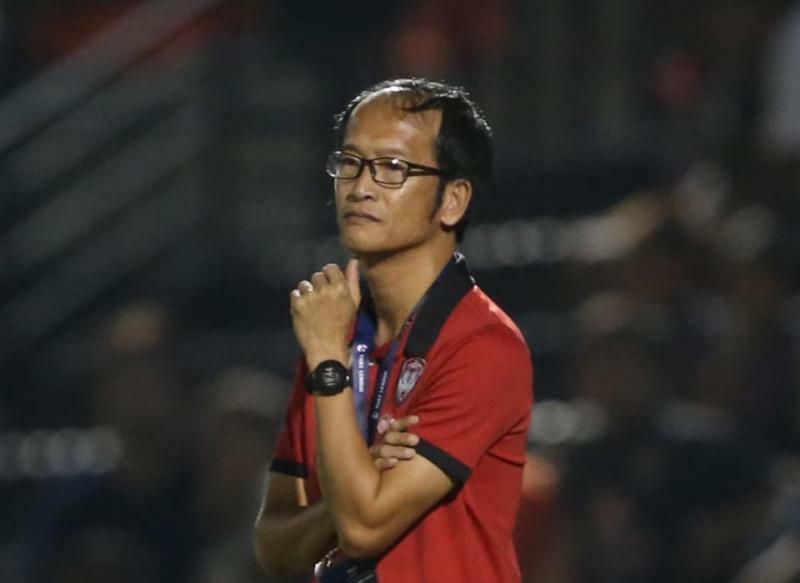 The former Sukhothai, Suphanburi and Super Power Samut Prakan coach lost both of his opening fixtures, against Prachuap and Bangkok United respectively, piling on to what he already deemed to be the highest pressure job in the country. However, wins against Chiangmai FC and Chiangrai United appeared to be turning the tide. The coach appeared to grow into the job, as he fielded younger talents and established his preferred Starting XI. However, the hard work of the previous fortnight was quickly undone as goals from Yannick Boli and Kang Soo-Il put Ratchaburi two goals up, leaving the Kirin dumbstruck. After collecting six points from five games, the four-time champions need to regroup quickly, as they are set to host Chainat in midweek before traveling to Nakhon Ratchasima next Sunday.